twenty-thirteen was filled with much wandering and wondering and questioning and planning and transplanting, and at first i wanted it all to stop and slow down, but now i am not so sure that i do, as i find my soul somewhat secure in all of these fast-paced changes. i am becoming more comfortable with the uncomfortable, strange as that is to say. these soul-longing questions and newborn seasons are insatiable beasts - and i am finding myself willing to both befriend them and sate them as they come to the table. this past year brought much room for embracing life anew, and departing from the old. twenty-thirteen also held the least amount of words written, ever. as a writer, i am saddened at this profound news. there are certain moments when i find myself wishing that i had blogged more throughout twenty-thirteen, but then i un-wish that wish just as quickly as it was made. because i planned and lived and embraced so much. i embraced life wholly. and i think i may have found a bit more of my soul in the chaos, lodged somewhere in between the best birthday ever, stressful details of wedding planning, sacred paint-smears taught and Real Jesus Talks with dear art-heart friends, you-tube videos that cast ongoing cycles of illumination and sparked further questions, trips to southern isles and beautiful sweet mountain moments spent with blogging IRL friends, two hearts that became one in sacred marriage amidst autumnal glory, and intimate holy-day family gatherings that were lovingly shared. so maybe, just maybe, i'll become better at sharing my heart out loud in this e-space in twenty-fourteen - but who knows, really - i'll go wherever the wind in the door takes me. and then perhaps we shall see. one thing is for sure, change is always on the horizon, so it is best to embrace it as it is, for what it is. it is the time to become a bit more fearless i think, to conjure up this hidden-inside brave heart of mine, in the midst of all this chaotic life-embracing. it's a tall mountain ahead, but not impossible for me to climb. 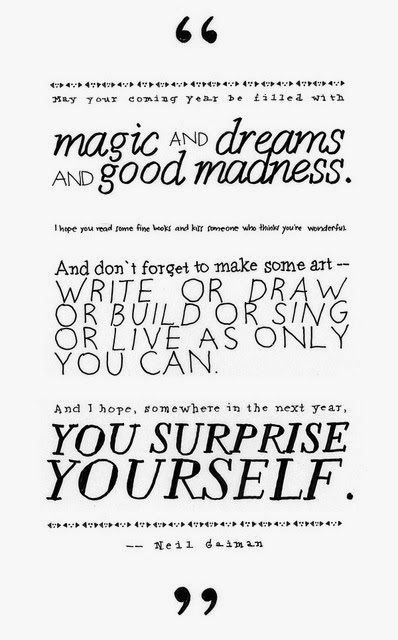 this is the year that i want to become brave enough to write that story of mine; brave enough to paint my dreams and sketch my pain, on canvas and paper and in words alike; brave enough to fill the world with a bit more grace and magic and mystery. it's time to embrace the questions and the restlessness, and make words and art and a life worth living. this year my resolutions are . . .
to embrace life with a brave heart, to speak grace more boldly, and to love more fiercely. it is a scary word, but i am excited too. AHHH! <-- pretty much my heart at this exact moment in time. brave. brave. brave. my new beloved mantra. yes, indeed, i very much so do. <3 i needed a bit more braveness i think, to traverse this embracing life thing as it comes with more abandon about me. seems our journey's are a wee bit more similar than i had once thought, rachel - and that is such an exciting thing. i am so greatly filled with anticipation, anticipation to see how far you go on this, your quest to claim the view of precipice living, dear-heart. may twenty-fourteen be a beautifully brave, mountain-top climbing year for you and your lovely soul. To echo Rachel, I love this so much, too! So much that the first time I read it, as you know, I couldn't even comment, my heart was so full. I've been so blessed to walk beside you this year, Sarah, and watch you grow, spread your wings, fly, fall, and soar ever higher. I loved last year's word and watching you live it out in many beautiful, expected, and unexpected ways. 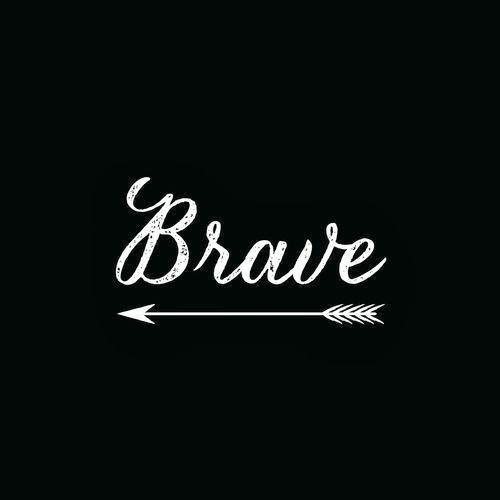 I can't wait to see what Brave-Heart holds for you!